A guide to deciding if a river cruise is the best vacation choice for you. With time to linger in scenic places – from the storied canals of Amsterdam to the lush landscapes of the Amazon – and the chance to enjoy authentic and immersive experiences onboard and ashore, it’s easy to understand river cruising’s rising popularity. 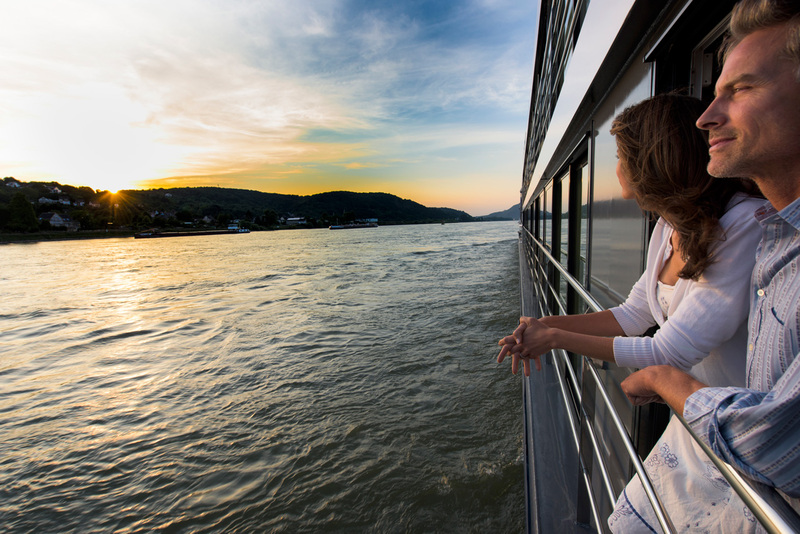 With spacious cabins, fewer crowds and typically longer and more scenic itineraries than conventional ocean cruises, river cruising offers a compelling alternative for would-be cruisers who cringe at the idea of waiting in lengthy lines before dining or tendering to shore. But for all the personalized experiences and hassle-free planning available on a river cruise, there are some key characteristics of setting sail on the open sea that can’t be replicated on the river. With that in mind, U.S. News charted the top differentiators of river cruises to help you decide if rolling on the river is the right choice for you. 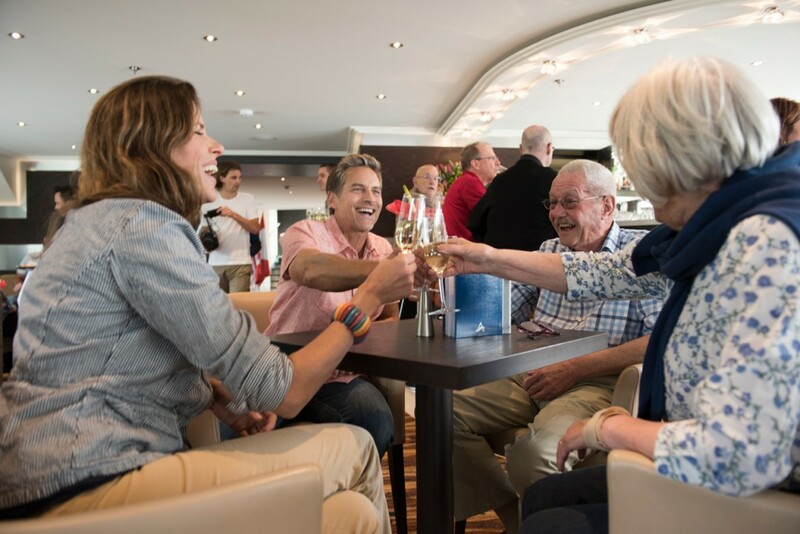 Unlike large mainstream cruise ships that can carry 5,000-plus passengers on each trip, river cruises carry fewer than 200 guests per itinerary, offering a quieter, more personalized experience. 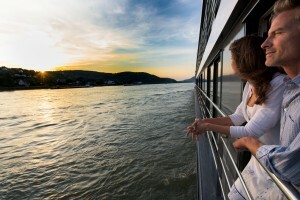 “Most river cruise vessels accommodate, on average, 150 guests, making river cruising very intimate, with a higher percentage of passengers meeting and getting to know one another,” says Charles Sylvia, vice president of membership and trade relations at Cruise Lines International Association. If you don’t mind chatting with your fellow cruisers, this is a great proposition, but if your idea of a relaxing getaway doesn’t involve constant social activity with strangers, this may not be an ideal setting for you. On the other hand, river cruisers can anticipate a high guest-to-crew ratio and “more opportunities to interact with crew members, allowing for more personalized service,” he says. Tom Baker, president of CruiseCenter, a travel agency that specializes in cruise vacation planning, points out that river cruises tend to be more regimented than ocean cruises, noting that exploration and meal times are structured because of capacity limitations onboard smaller riverboats. While you can expect bigger entertainment facilities, spacious cabins and more dining options on an ocean cruise, river cruises deliver “more of a club-like atmosphere, and the main focus is on sightseeing tours as a group during the day,” he says. “Access to smaller ports and the convenience of docking mere steps away from town centers are two major advantages of river cruising,” Sylvia says. Unlike larger oceangoing ships that tend to anchor away from port and offer smaller ships to tender travelers ashore, riverboats allow you to easily hop on and off at your leisure, eliminating the need to wait for fellow travelers and allowing you extra time to explore. Plus, there’s no need to worry about catching a bus or wishing you had more time to engage with your surroundings, once you arrive, you can easily check out can’t-miss sights on foot with a walking tour. “River cruise ships tie up within very close proximity to landmarks, marketplaces and museums, so guests can immediately immerse themselves in the local culture,” Sylvia adds. 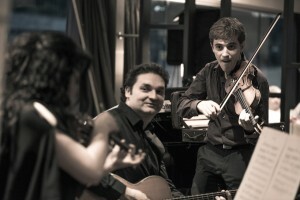 “The river cruiser wants to see Europe, and not via a coach tour. They like the idea of unpacking once and having their hotel go with them,” Baker says. “River cruises are very intimate,” he adds, highlighting that they’re a scenic way to get up close and personal with hard-to-reach ports. When it comes to picking a cruise, a common concern is finding a ship and itinerary that are both enticing and affordable. Fortunately, like many mainstream ocean cruise lines, river cruises bundle accommodations, entertainment and dining into one fixed rate. “While there are differences in the size, scale and navigation between river cruise ships and larger oceangoing vessels, traditional cruise guests can expect river cruising to provide the same fantastic value they are accustomed to getting,” Sylvia says. Plus, many river cruises up the all-inclusive factor by packaging drinks, gratuities, services like Wi-Fi and shore excursions into the cruise rate, while eliminating unexpected additional fees. “The all-inclusive fad is catching on for the higher-end river cruise companies to compete with luxury ocean brands, and this is a good thing to differentiate from lesser brands,” Baker says. Viking Cruises and AmaWaterways [and Avalon Waterways], for instance, include complimentary Internet access, all onboard dining, onboard drinks and excursions into its rate. 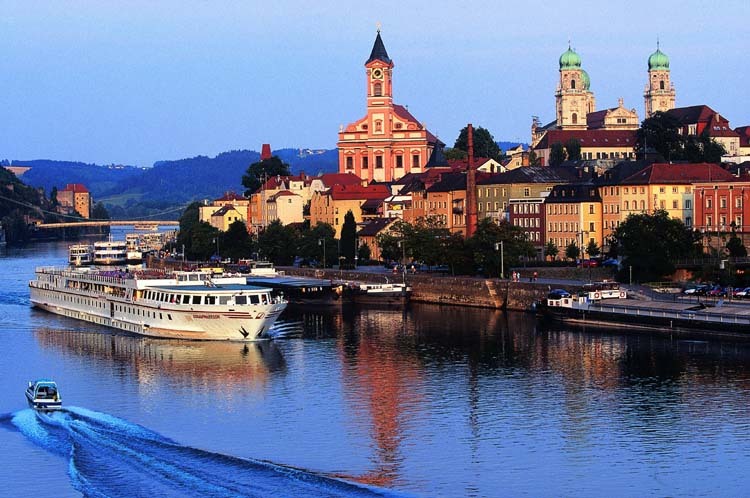 Meanwhile, Tauck River Cruises includes unlimited drinks and tours ashore in its pricing. “A leading differentiator between river and ocean cruises is the visual perspective of the cruising experience,” Sylvia says. 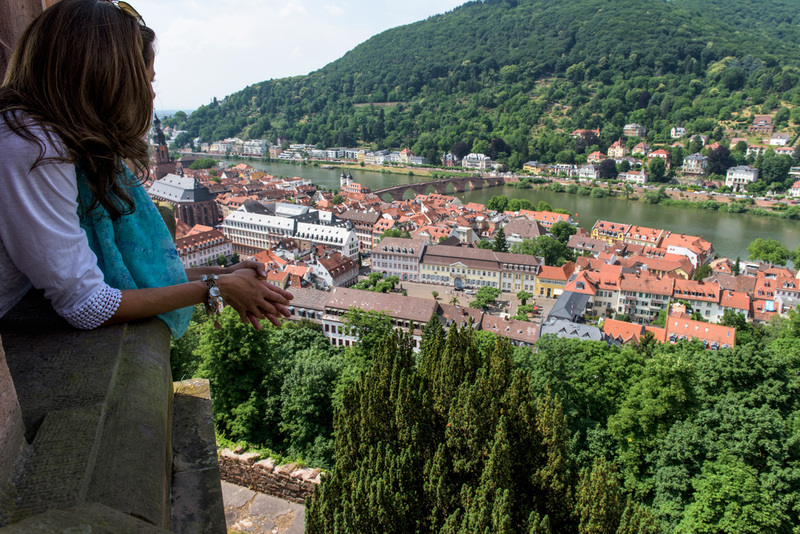 While traveling on the high seas offers “vast, high-level views of the water and visibility for tens of miles, river cruises deliver breathtaking views from a more down-to-earth perspective, given the lower profile of river cruise vessels,” he explains. “This gives guests the opportunity to view ports and destinations from river level, which results in continuous, awe-inspiring scenery.” Best of all, you can enjoy the sweeping and continually changing views from the comfort of your balcony. And in terms of lodging, “staterooms and suites are well-appointed and typically spacious, offering balconies with panoramic views of the passing scenery,” Sylvia says. Take Tauck’s Inspiration Class ships, which feature 300-square-foot suites with floor-to-ceiling French balconies. Or Avalon Waterways, which boasts 200-square-foot panoramic suites with wall-to-wall sliding glass windows for unobstructed views. If your primary goal is to absorb your surroundings and local culture at your leisure, a river cruise is an ideal choice. “Primarily, river cruising is perfect for those who seek an authentic experience, filled with the uniqueness of various cultures within a country or region,” Sylvia says. “Those who seek a genuine sense of a destination – its history, art, food and people – will find themselves greatly satisfied by river cruising,” he adds. Plus, with extra time each day to take in the sights and sounds of each destination on your itinerary, you won’t have to worry about making it back to your ship on time as you would on oceangoing cruise ships, which typically do not stay in the same destination overnight. Enjoy date night in Europe without worrying when you need to get back to the ship. Plus, back onboard, you can stay engaged with local culture with enrichment programs, seminars and other pursuits. For instance, on Viking Cruises [and Avalon Waterways], guests can enjoy regionally inspired dishes and cooking demonstrations, as well as art- or history-focused lectures to deliver context for the destinations on your itinerary. And though river cruising enables “countless options for discovery and exploration, it also provides a relaxing and tranquil onboard experience,” Sylvia says.